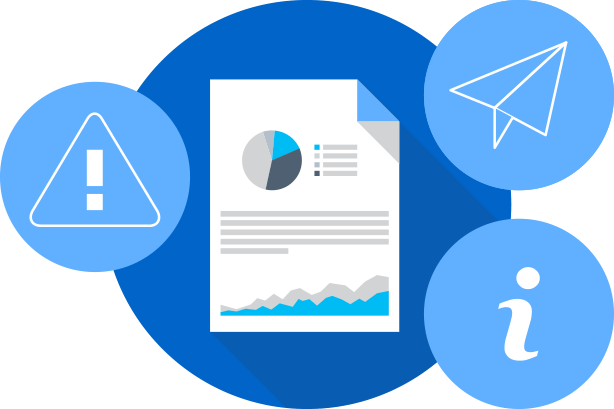 Try TeamViewer Remote Management for free! Simply follow the instructions below. Please download TeamViewer, and install it on each device on which you wish to run TeamViewer Remote Management on. Create a TeamViewer account and add the devices to your Computers & Contacts list. 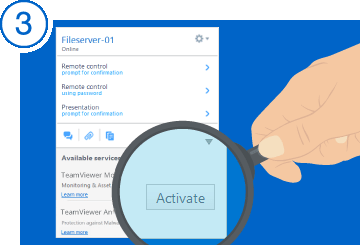 Right-click on a device and click the “Activate” button to start TeamViewer Remote Management and you are all set! Tip: You can also add devices in bulk from the TeamViewer Management Console. 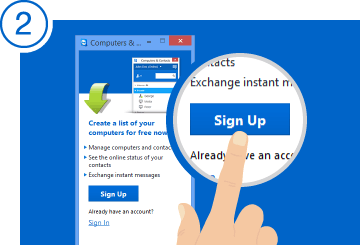 Simply use your TeamViewer account to login. 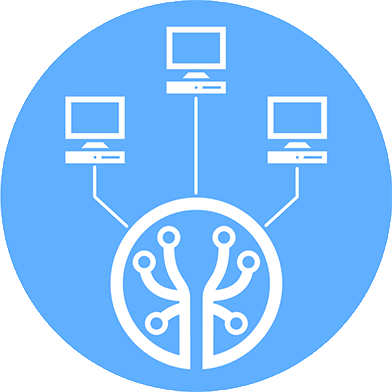 All computers for which you want to use TeamViewer Remote Management have to be added as endpoints. Adding endpoints and activating TeamViewer Remote Management can be done remotely on your TeamViewer Remote Management dashboard. 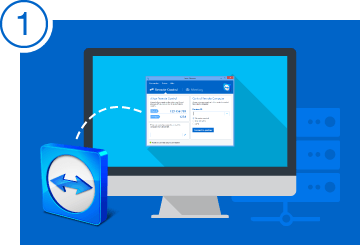 Select the respective TeamViewer Remote Management services for each device. Click on Next and select a policy for each service. Click the Wrench icon at the top. Click on Add policy at the bottom. 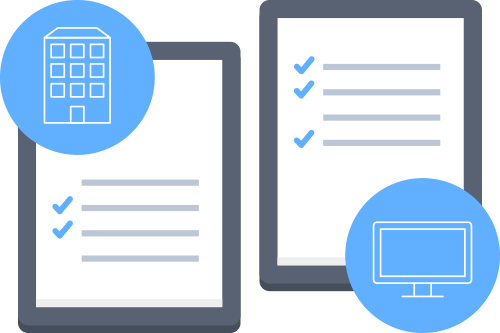 Add any scans (TeamViewer Endpoint Protection), any checks (TeamViewer Monitoring), or any backup cycles (TeamViewer Backup). Assign your created policy to your devices. Click on the Policies tab and select the policy for which you want to receive notifications. For TeamViewer Endpoint Protection policies, click on Manage notifications and add an email address or select a user. For TeamViewer Monitoring, after selecting the respective policy, please click on the check for which you want to receive notifications and add a user or an email address.